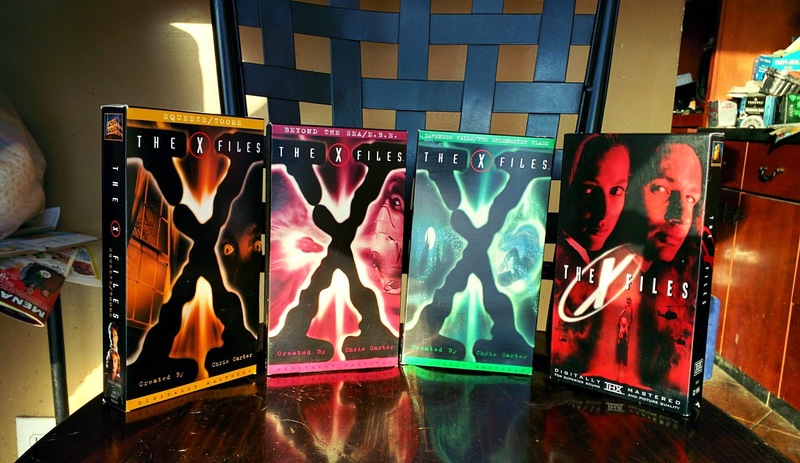 X-FILES tapes! The truth is here! Six episodes and the first movie! DEATH BECOMES HER, a classic all its own. Here's a quick fun fact on my history with DEATH BECOMES HER: it was Christmas Eve, 1990-something, and I was just getting ready for bed when this movie came on TV in the living room. I was entranced. I couldn't take my eyes off of it. Granted, I was young and didn't quite realize that it was a comedy. So I was sort of freaked out going to bed on Christmas Eve. True story. So when I saw this VHS in the stacks, it had to be mine. CHERRY FALLS, the best post-SCREAM teen slasher! I have only the fondest memories of CHERRY FALLS. I remember there was a huge internet buzz around this flick back in 2000. It finally premiered on the USA channel to rave reviews from horror geeks (myself included). It wasn't your typical teen slasher. No, in fact, it went out of its way to separate itself from the pack. The killer was attacking virgins! A hymen holocaust! 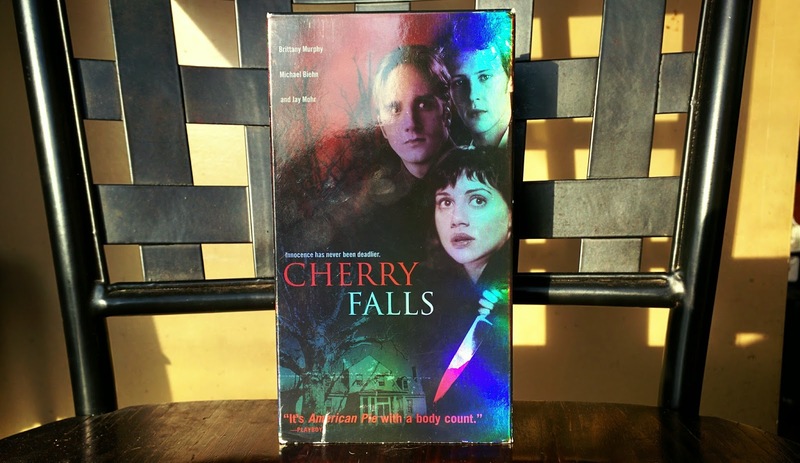 CHERRY FALLS has only had one DVD release and it was packaged as a double feature with the John Ritter flick TERROR TRACT (no blu-ray release scheduled). So why not own this beast in its original format? Ah, THE RING! Now keep in mind I own both THE RING and THE RING TWO on DVD (and I adore the bonus features on both, by the way), but c'mon! 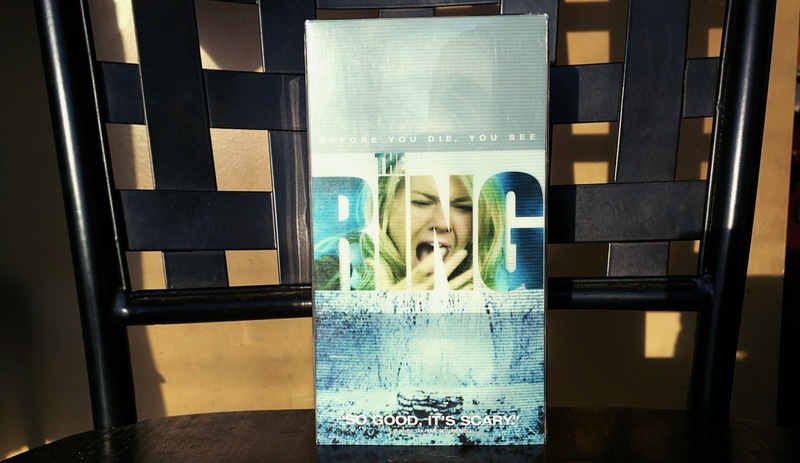 The movie revolves around a cursed VHS tape. 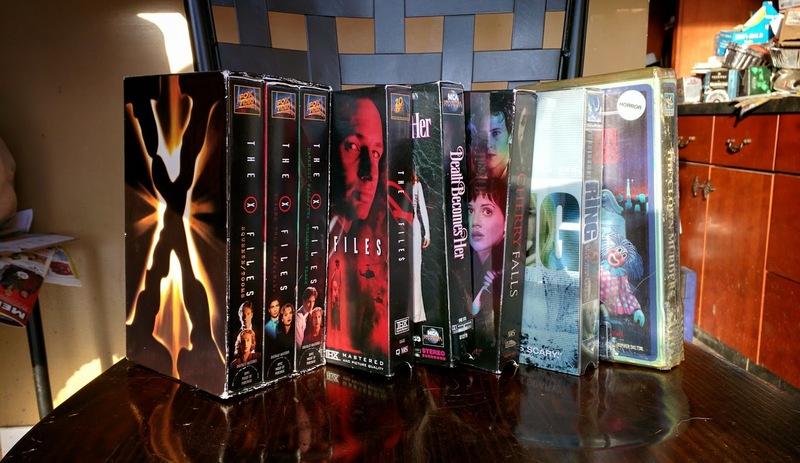 So what better way to own the movie than on VHS?! It sold itself. How can I pass up THE CLOWN MURDERS? 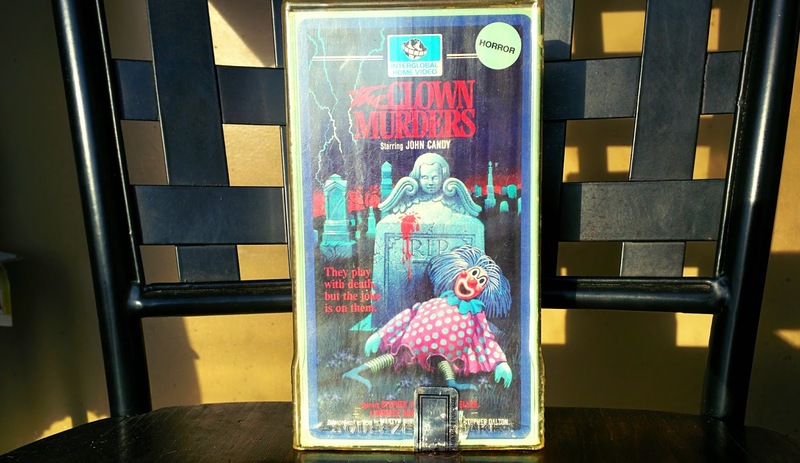 Admittedly, I've never seen nor heard of THE CLOWN MURDERS before. But starring John Candy? I had to have it. I have no idea when I'll get around to watching this, but just having it sit in my movie collection will suffice. Just look at that grade-A cover art. So that's it. That's my haul from my latest Goodwill adventure. Do you own any of these titles (on any format)? Thanks for reading!